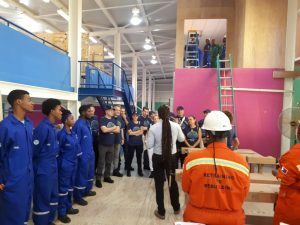 CAY HILL, Sint Maarten – NIPA and K1 Britannia concluded on 28 November 2018, a collaborative training agreement to provide Tech-Voc training to a number of youngsters in our community, that have found themselves in hardship. the NIPA culinary department to end off their day of work, and debriefed. The visit and experienced was teamed a success, and parties now anxiously await the start of the program.